MLP DATA - MLP Update: Will Investors Benefit from the new MLP Model? Thank you for sharing MLP Update: Will Investors Benefit from the new MLP Model?. Your email has been sent. Volatile energy prices, and FERC regulatory changes, coupled with inconsistent EBITDA stability and growth crushed unit prices in 2018 as investors expressed more concern about continued dilution, IDR payments and increasing leverage. As a result, many MLP's became ineffective funding vehicles, and were folded back into their sponsor. Others eliminated IDR's and lowered their distribution growth in order to retain cash flow to internally fund new capital requirements. 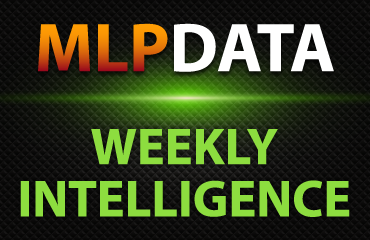 From a dwindling MLP universe, Investors received relatively good news this past week from units which reported Q4 results.. Self funding, low/no reward for high distribution growth, and managing leverage while still pursuing accretive growth projects were common themes from management teams. Tallgrass Energy on $3B GP and Unit Sale to Blackstone - "The transaction with Blackstone as its co-investors will transfer control of the general partner to Blackstone and effectively replace Kelso and EMG’s Class B ownership. A portion of the management team’s ownership in Tallgrass will also be purchased in the transaction, and all active members of the team will continue to have significant interests going forward. The team will stay on in their current roles, and I plan to remain CEO, at least through the end of 2019." Q4 Distribution Increases - Many management teams believe that investors are not rewarding units which project high distribution growth, but some Units continue to pay and project double digit annual increases. Wednesday Score Reports, which use the latest Distributable Cash Flows (DCF) to calculate coverage trends and other key unit metrics, are available to Premium Subscribers.